These anthologists know better than any others the importance of carefully served collections of stories for both young readers and busy teachers. 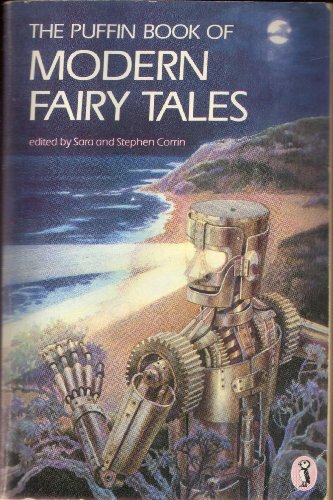 Their introduction argues squarely for fairy tales as 'the very stuff' of storytelling and sees modern exponents as 'part of a living and continuing heritage'. Am I churlish in feeling a sense of disappointment in the resulting collection? It's good to have P. Pearce's Squirrel-Wife placed with a Farjeon (from The Little Bookroom), a Nesbit and J. Aiken's exquisite Harp of Fishbones, but the first three chapters of Hughes' Iron Man, whilst representative, I'd agree, of the best modern myth-making, seems either over-indulgent or inconclusive in this context. Of the rest, too many of the stories seem too-readily available elsewhere, or, simply unworthy of inclusion. No anthologists should have to justify their inclusions, but I miss the eclecticism and creative contrasts of the editors' 'Stories for ...' series: rich, always surprising books, with an instinct for the multicultural (in the exact sense of that word) which light have enriched this collection.